We all know the famous Asian spring rolls, but do you know how the to make them in your own kitchen? This recipe will teach you how to prepare a serving of 4. Starts with Cooking the noodles in water for the time indicated on the package. Meanwhile, wash the lettuce and chop finely. Clean the beansprouts, drain them and set aside. Clean and devein each shrimp and cut it in half lengthwise. Then cut some tofu cubes and put them aside. Wait for it to soften then lay it flat on a large plate. Then with all the ingredients that you have prepared, taking care to make about the same amount for each roll, spread the ingredients on the wrappers. 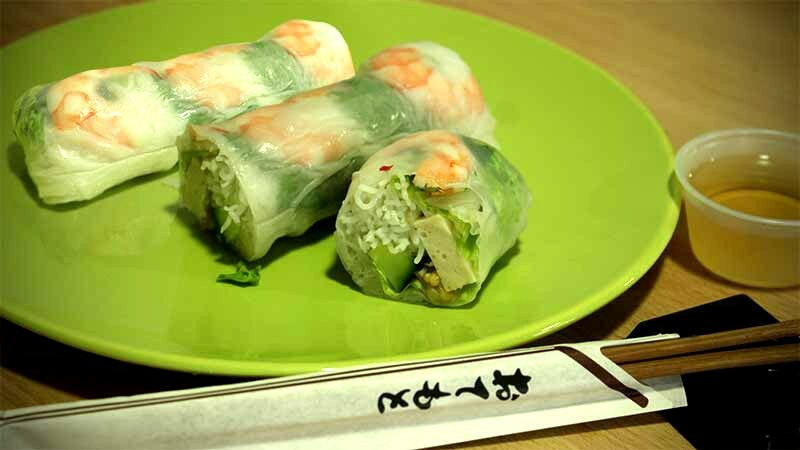 Just roll the rice papers and you have created a delicious asian spring roll!